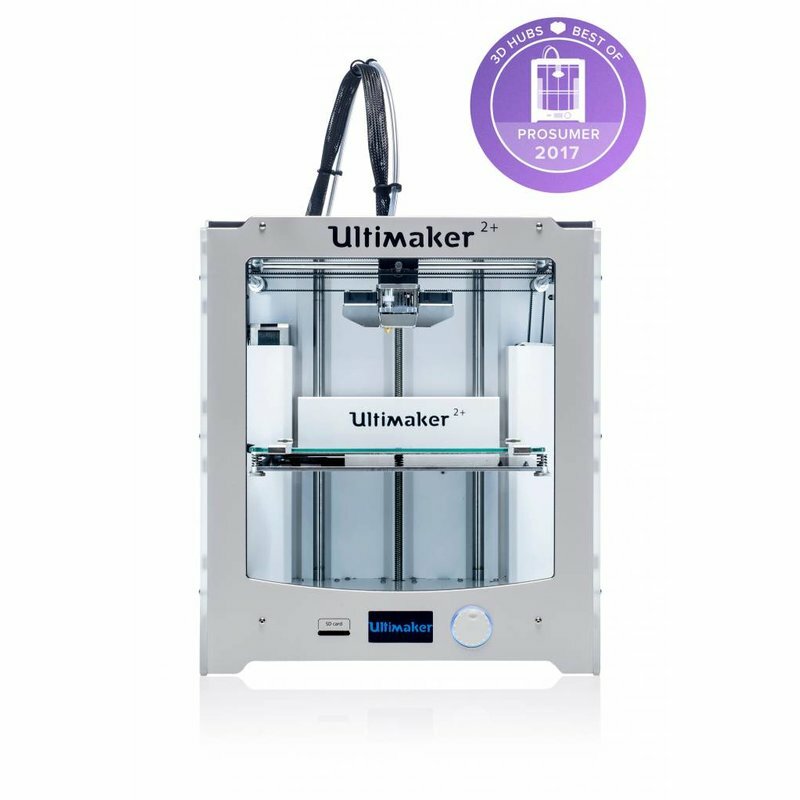 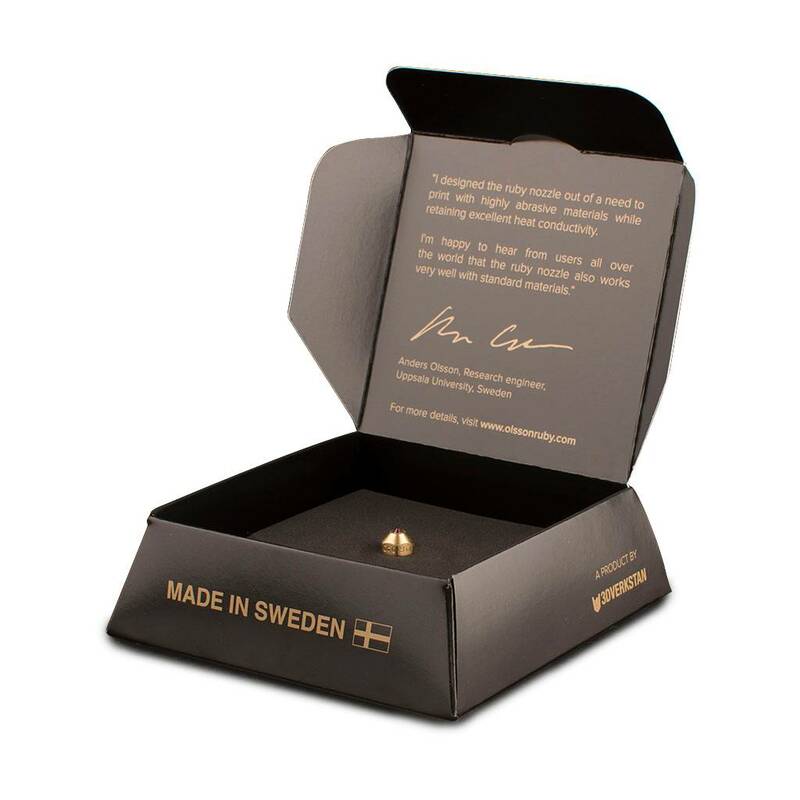 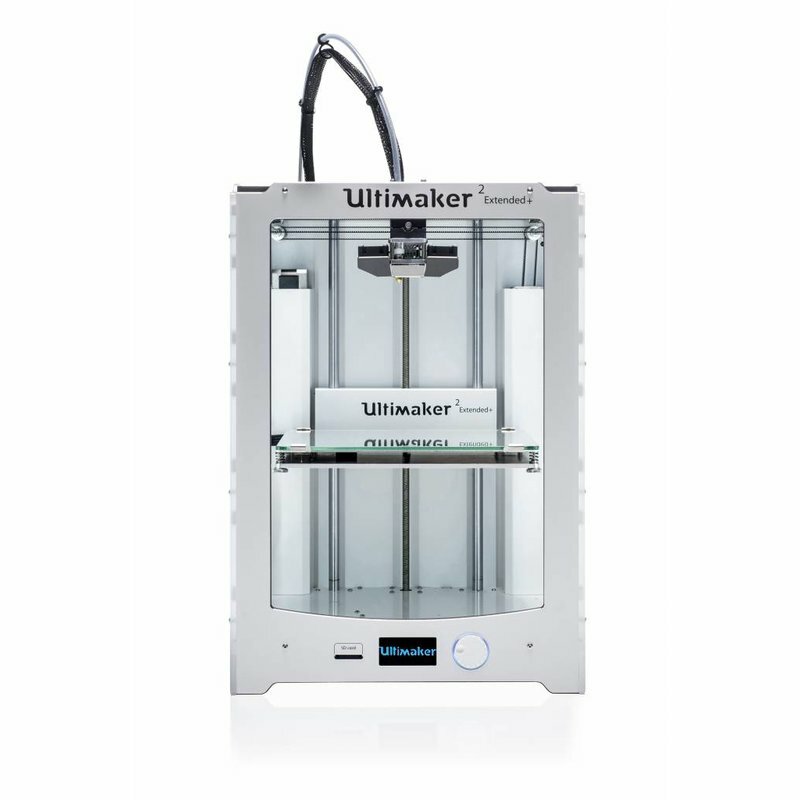 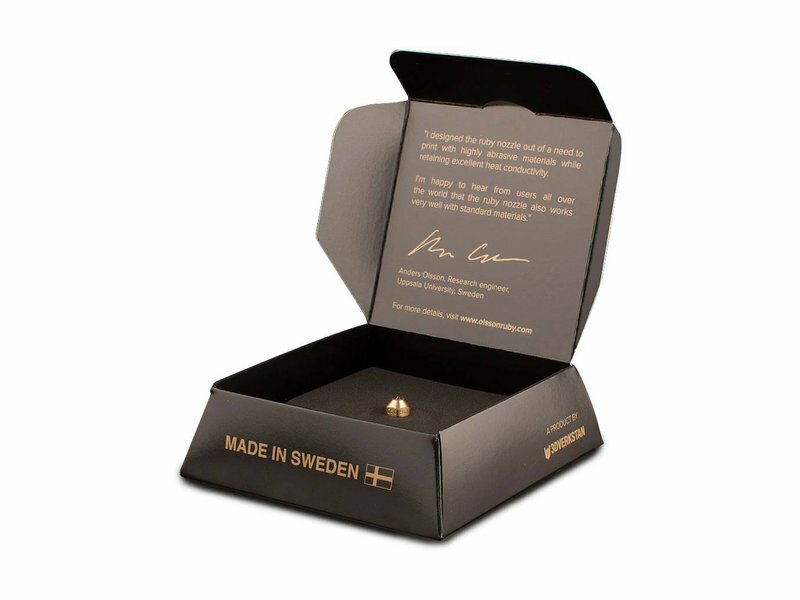 The Olsson Block is an improved nozzle for the Ultimaker², the Ultimaker² Go and the Ultimaker² Extended. The Olsson Block makes changing the nozzle much easier then ever before. 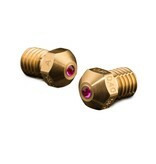 Because certain materials damage or wear your nozzles to much the Ruby nozzle was created. 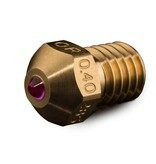 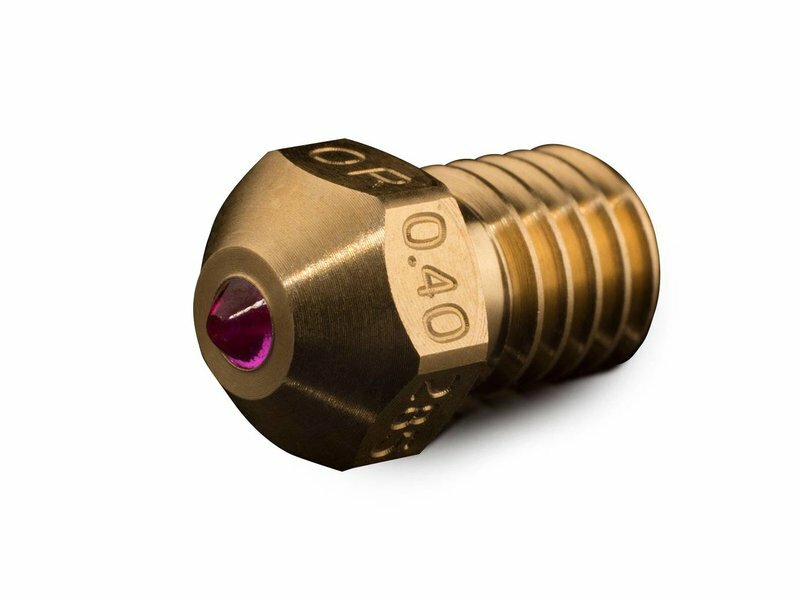 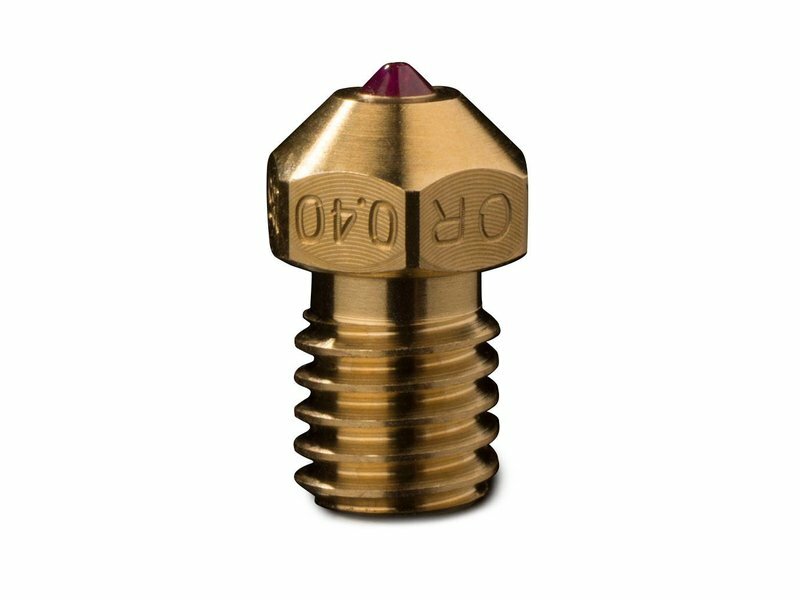 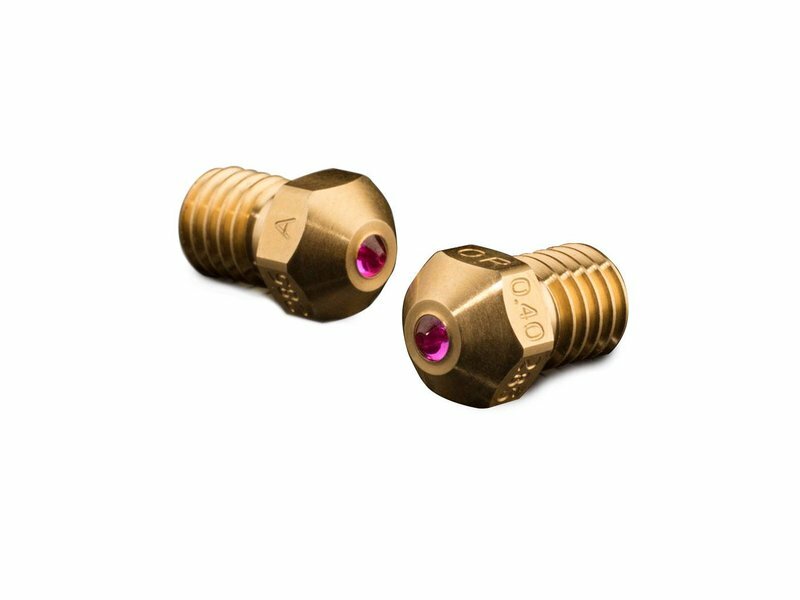 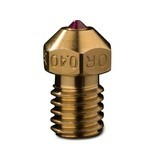 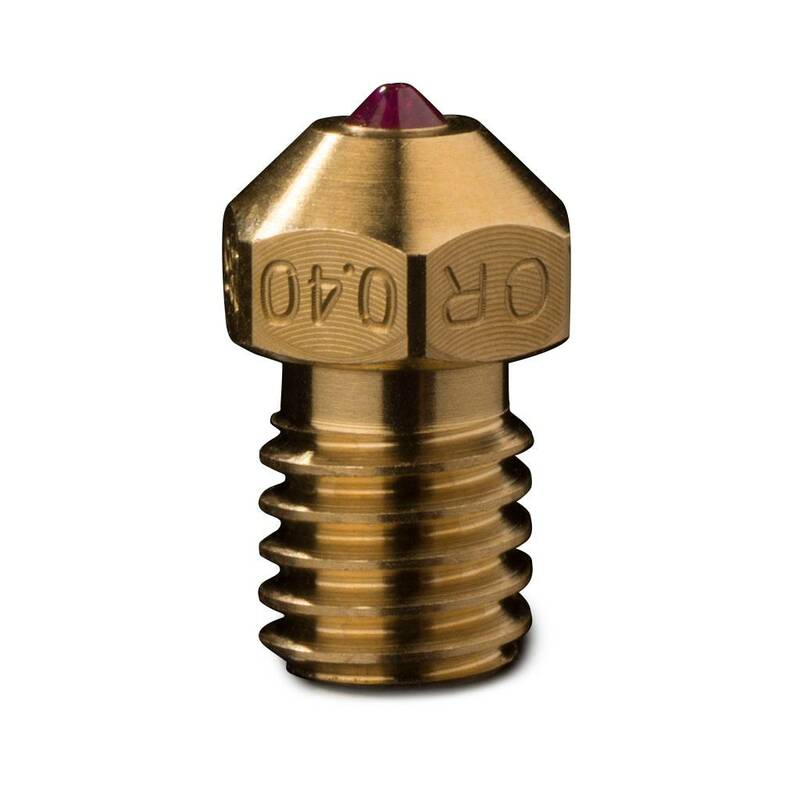 This special nozzle with ruby is extremely firm and durable. 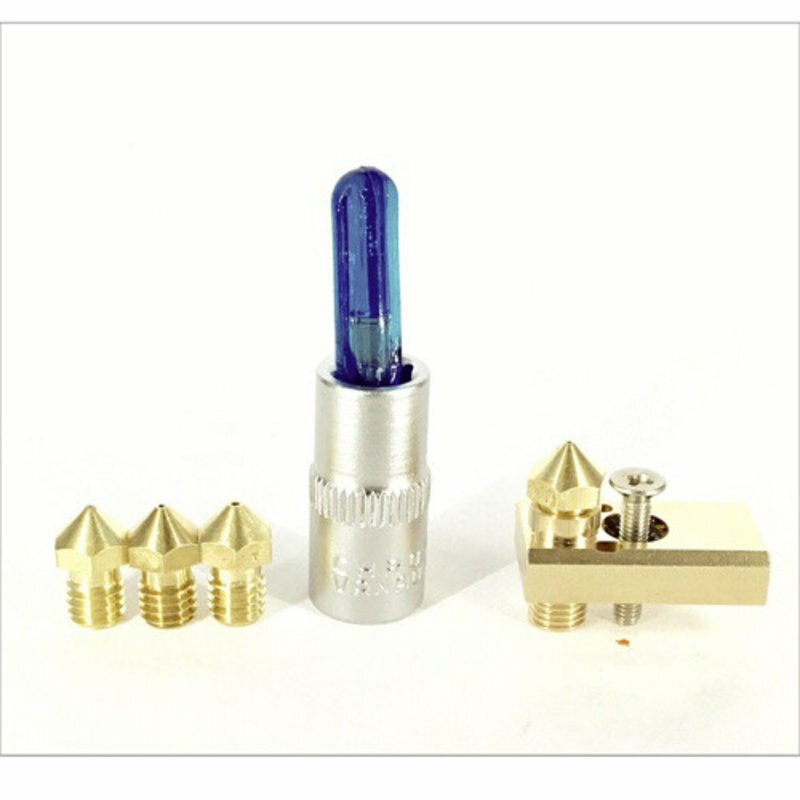 This nozzle has a diameter of 0.4mm.